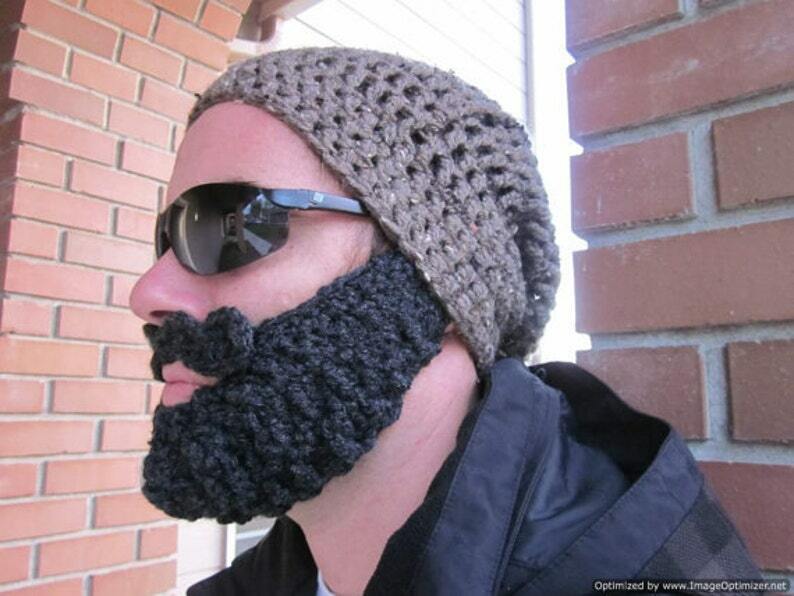 Awesome, more airy slouch beanie that comes with a curly Beardstache! Measures between 21-22" Head Circumference fitting most regular-sized adult noggins. :) Let us know in the purchase notes if you have a bigger or smaller HC, give us the measurements and we'll get it customized for you! Item ships within 2 weeks of purchase.